Kudu in Kensington, bush pig on Queen street. But you need to look hard to spot this game, squint at that white board in the Gema Trattoria & Pizzeria restaurant. There listed in the day’s specials is Kensington’s best kept secret, kudu ossobuco and roast wild pig with polenta. 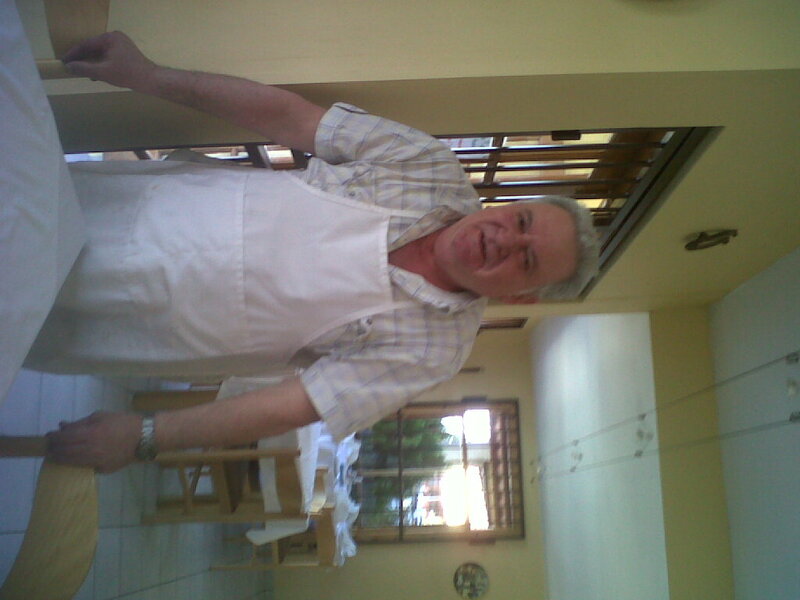 It is fusion food, a la Mario, Italian cuisine with some lekker saff Afrikan natural ingredients. I am on leave, which means nice long lunches, working through Mario’s specials menu and quaffing Italian beer. An empty restaurant also means time to chew the fat with Mario. “My friends go hunting and they ask me what I want them to shoot,” says Mario, in his thick Italian accent. Lying in his freezer is bush pig, kudu, eland and springbok. Mario cooks them slowly in the pizza oven until the meat slips from the bone. “So what is your favourite dish?,” we ask. It is a small bird he tells us. The naughty one, we work out is the Indian Myna. I make a mental note, Myna’s are not good eating. Mario explains that he takes this mystery bird plucks it, guts it, then places it on a skewer. With the bird, Mario adds pork fat and meat, then allows it to roast over a fire turning slowly. This entry was posted in Kensington. Bookmark the permalink.